Tom has recently completed another multi-piano piece – this time for no less than six pianos! 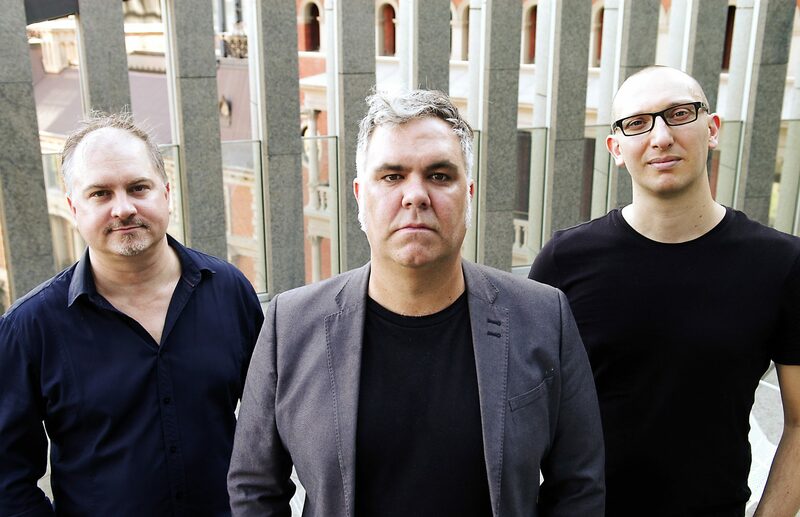 The piece is entitled Drumkit (for six pianos) and was premiered at the Infinite Ivories concert at the West Australian Academy of Performing Arts on the 21st August, 2014. Tom gave a presentation about the piece at the Musicological Society of Australia (MSA) study day conference held in Perth in November, 2014. The abstract of which is below. An Exegesis of a composition for six pianos. Drumkit (for 6 pianos) is Tom O’Halloran’s second multi-piano work. This exegesis primarily looks at the compositional decisions made whilst composing, and the rhythmic and harmonic language utilised within. The piece utilises recurring ‘drum’ objects – i.e. musical fragments that mimic phrases played by jazz or rock drummers, or focuses on the specific parts of a drum kit like bass drum and snare. These objects are solutions for rhythmic inspiration and also structural organisation. These, combined with extensive use of hemiola are the primary rhythmic devices employed and principally facilitate the majority of the musical material. Each instance of hemiola will be visited, and the musical effect demonstrated. The harmonic language is primarily jazz harmony with vertical structures and modal interchange, whilst other more non-descript structures will also be shown. This harmonic language is at times ‘blurred’ through chromatic colouring by several pianos, and made more complex through the use of reharmonisation (giving a sense of polytonality) in the form of ‘chorales’. Brief reflections on performance challenges, artistic compromises/creative solutions and general musical observations have shown the piece to be satisfactory, and reporting of these issues will conclude the presentation.